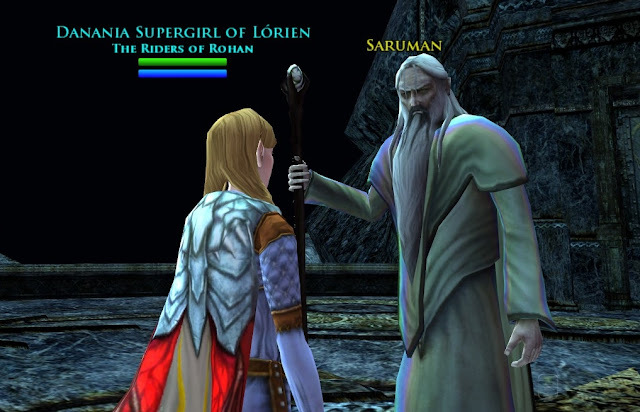 Supergirl of Lorien: Deeds, Deeds, Deeds! Fishing is simple to do; all you need is a pole and some water. I am already “Lady of Streams” (my fishing skill is maxed out), but I had never caught a Green Sturgeon (8/9 sturgeon) or a Redband Trout (8/9 trout). 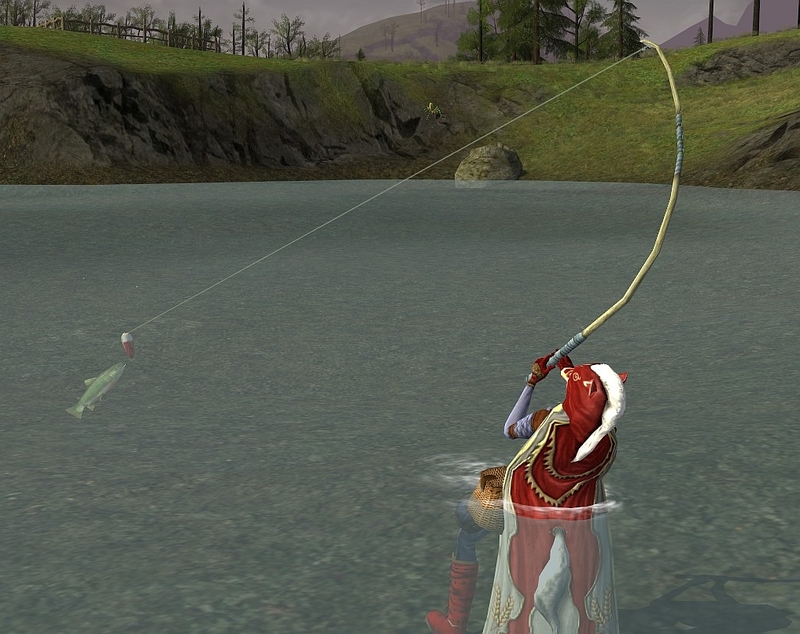 The darters, trout, and sturgeon are found in certain areas: the darters in low level areas (like the Shire), the trout in mid-low level areas (like Evendim), and the sturgeon in slightly higher areas (like Moria and beyond). The Angels kinhouse is overrun with 50-lb salmon now. Undoubtedly, we will need to take some stuffed fish down to hang some maps, or art, or something that didn't come from the taxidermist. I had to wrap my head around that one, just how many skirmishes needed to be accomplished. Because of my skirmish time data project a while back (fastest-skirmishes-marks-per-minute), I was fairly close to finishing all of the skirmish encounters, so I tore the last ones apart and found the remaining encounters. Easy peasy. Now I am quite intimidating with the new emote “bringiton”. (Finish all encounters in the 18 skirmishes, not the Survival, and you get the emote and the special title). 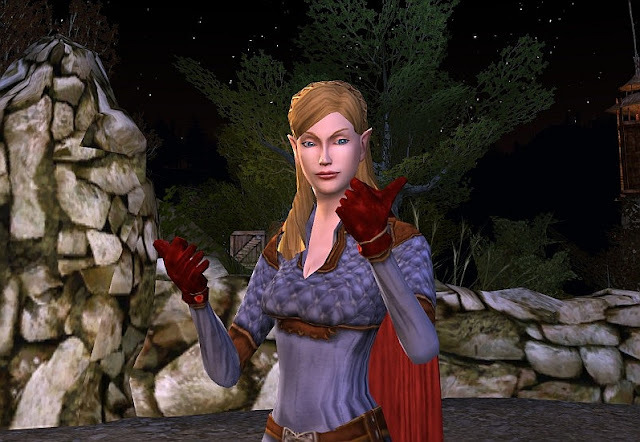 If ever you get lost on how to figure out an encounter, go to http://cstm.mymiddleearth.com/ and type pineleaf primer in the search bar. My friend Pineleaf wrote brilliant guides to the skirmish encounters. When guides are that good, there need only be one version. Here was one encounter, of the last handful of encounters, that came to be checked off my deed list. Welcome Fikluk! He is in the Strike against Dannenglor, one of my favorite skirmishes because it is one of the fastest. 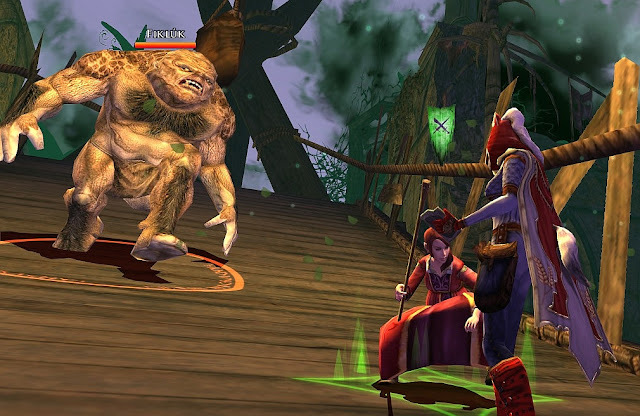 I think DrQuinn looks a bit caught off-guard... like she didn't notice the large troll stomping toward us. These level 60 3-person instances are not hard to do as a stout level 75 RK. However, Naladum cannot be completed solo; its mechanism is setup to where you have to be in two places at once so it is literally impossible. (Edit 07/30: I stand corrected... Daweirdo tells me that he, as a Guardian using sprint, was able to get through the 2-person gate, effectively being in two places at once. For us slower people, it is still not an option.) There are 17 or 18 lizards before the 2-person gate so the lizard-slaying deed is very doable. Lumulnar is also ok and has merravals, but I’ve never progressed it to the last boss while solo; I usually get bored turning mirrors in the final area. I actually used GLFF last night for the first time to "globally find a fellowship"; cheers to Tinyelvis and Des who I met last night to whack Lumulnar, again. However, if you are solo AND want to do these instances but cannot bulldoze over the 3-person aspect, there is a way to launch it “solo”. 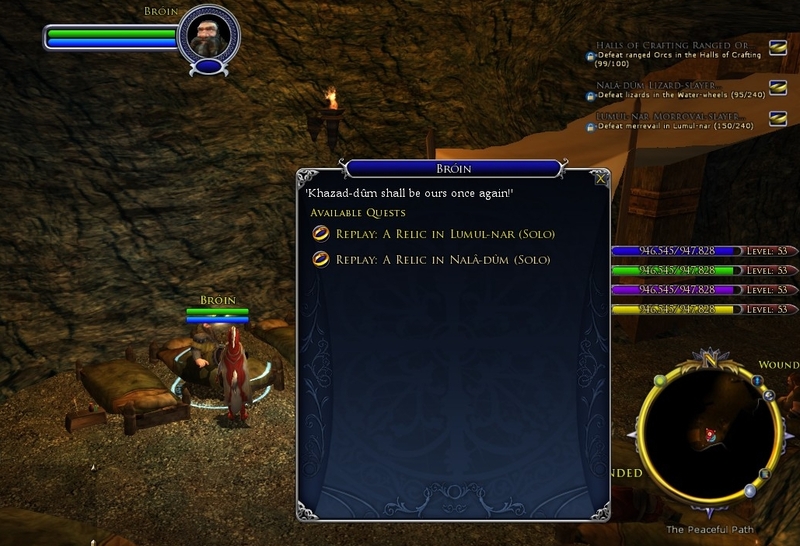 Visit Broin in The Peaceful Path, in top level (north Moria map, west of Jazargund); he has repeatable quests for the solo version. Oh my. Moors would need a separate post. Lol. Whenever I run out of things to do or just need to blow something apart or just seek something different, I go to the Moors. I have progressed to Rank 8 recently and this past week I got my 6th piece of armor to be at maximum Audacity of 7. There is a noticeable difference, and I will go into that another post. 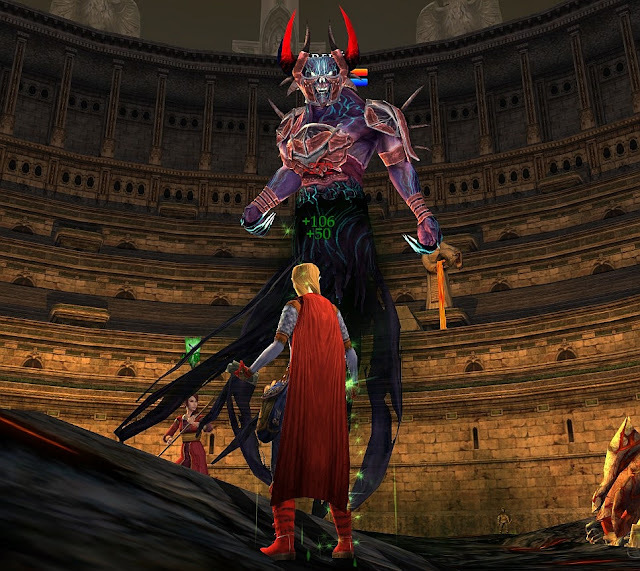 Oh, Isengard is also worthy of more ink time, but I went with friends and knocked off Saruman... so, pictures shall follow, though I was preoccupied with not dying and didn't get that many. My schedule doesn’t lend itself to match the raid timing of those around me, so I take great pride in completing raids. I make a point to be on top of my game and "bring-it" every time I go out. What a strange reputation to try to acquire. The Eldgang do not offer a steed. As far as I can tell, there is no benefit at all to being kindred with the Eldgang. But, there it is in my deed list, so it must be done. 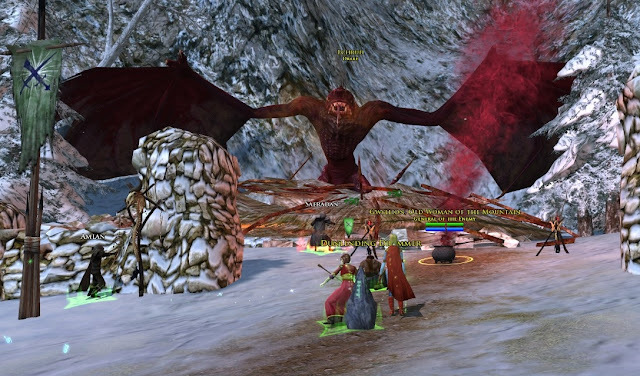 The only two ways to gain standing with the Eldgang is by running the Rift instance (level 50 Raid) and by running the Rescue in Nurz Ghashu skirmish. I have finished Rift raid probably 6-10 times, and fortunately, Nurz is one of my favorite skirmishes. Only another few dozen skirmishes will get me to kindred, where I can get… satisfaction of having the box checked, since apparently, that is all there is. I'm actually working on deeds myself on my captain. Not to do them all (I'll get that done *eventually* on lore-master), but just to get my important virtues up to 14. I'm sure you know this one, but for those following along, a great site to learn about deeds, especially virtue deeds, is Burgzerg. It might be a little outdated, but anything prior to Mirkwood is really top notch data gold mine. Heh, thanks, I used to use that site a lot. I stick to lotro-wiki now, though, since that one's fully up to date. You can just type the virtue you're aiming for in the search box and get an overview of the deeds for it. It's like the Wal-mart of lotro; it has everything I could want.